A jump starter will successfully re-start your vehicle if you have been maintaining it in accordance with the manufacturers recommendations. In short, that means giving it a regular re-charge! 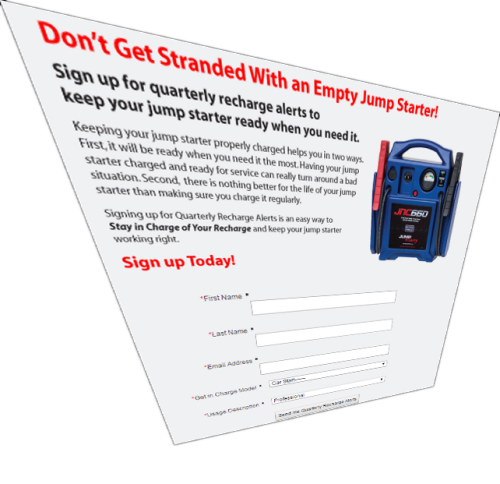 Most jump starters will require a re-charge every 4-6 months in order to ensure 100% reliability right when you need it. Of course if you purchase any of the quality jump starters listed in our jump starter reviews you will probably find these charges will go well beyond the recommended period and still provide good service – however, for the sake of an occasional re-charge it’s not worth the risk, so be organised, read our guide and keep your jump starter in tip top condition. There are a few ways you can make sure you do not miss a scheduled re-charge, and the first one we are going to discuss comes to you straight from those jump starter experts, Clore Automotive. To take advantage of this free service from Clore, simply go to their recharge page, enter a few details and they will then send out a reminder to re-charge your jump starter depending on which model you have. 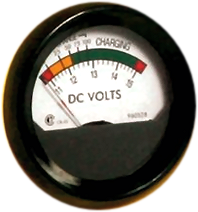 It’s quick, easy, free and will ensure your jump starter will provide good reliable service for many years. There is a huge range of free reminder services and apps available for just this type of important task that requires scheduling. If you have a smart phone, you will find an option for setting a re-occurring calendar entry that can be used for this purpose. Another option is Memo to me, a free reminder service useful for all sorts of occasions. They even have a premium feature that will send a text to your phone so you will not miss any of your planned items like charging your jump starter. If this kind of webs service is of interest to you, also see Remindeo, and Alertful. Please consider using one of the above options to keep your jump starter in a good state of charge!